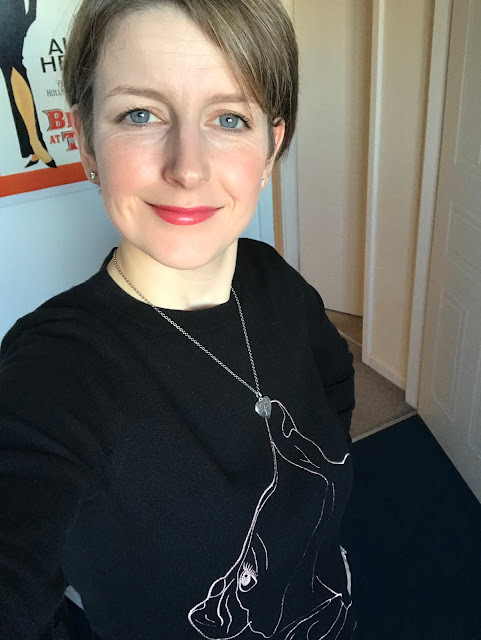 Today I want to talk some more about the lovely gifts I got for my birthday and Christmas, concentrating on those of a more fashionable theme. 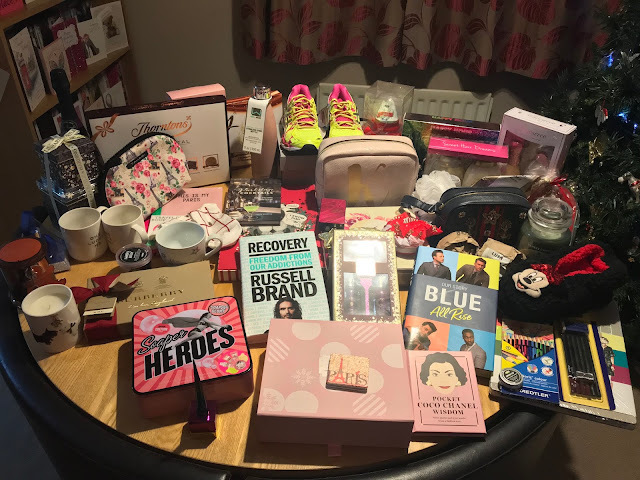 Even at 32, I still love surprises and was really pleased this year, as although I'd dropped a few hints, I really didn't have a clue about what I was getting. 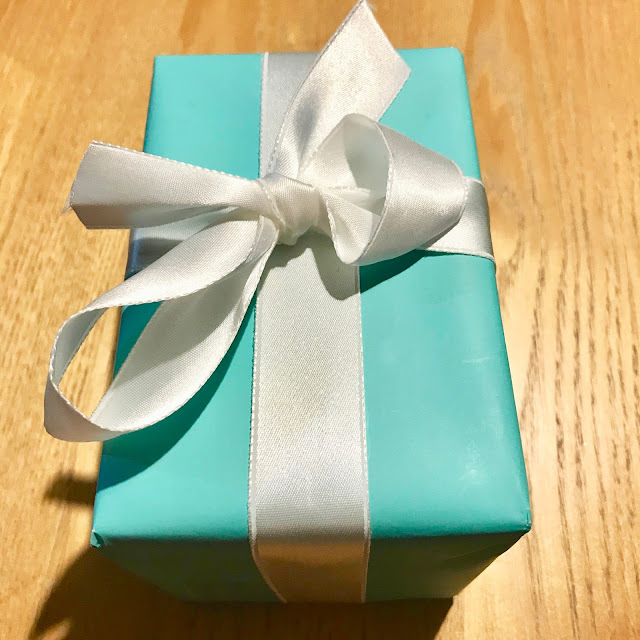 My Mister in particular is really good at choosing presents for me (I know, he's a keeper AND he loves to shop!) and this year he did an amazing job once again! I must've been on the nice list! 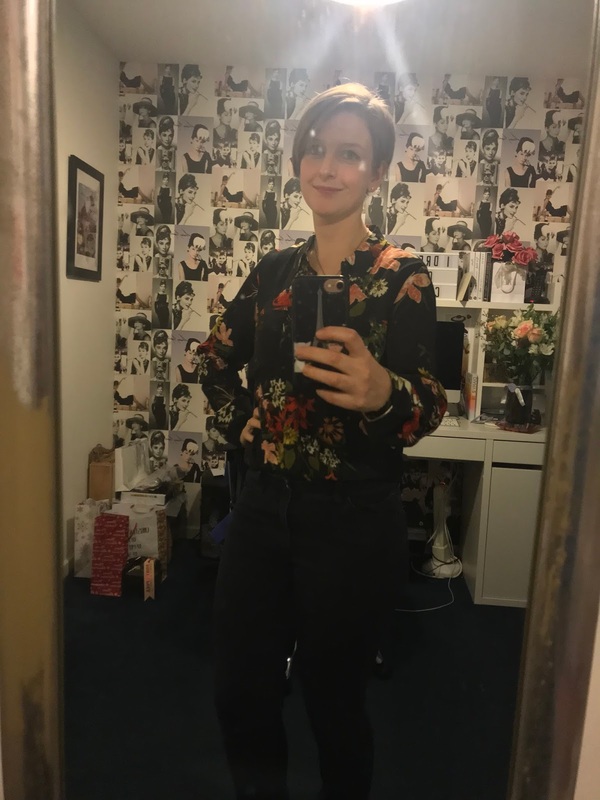 Some of these will definitely be featuring on my Instagram account over the coming weeks as outfit posts (some have already!). 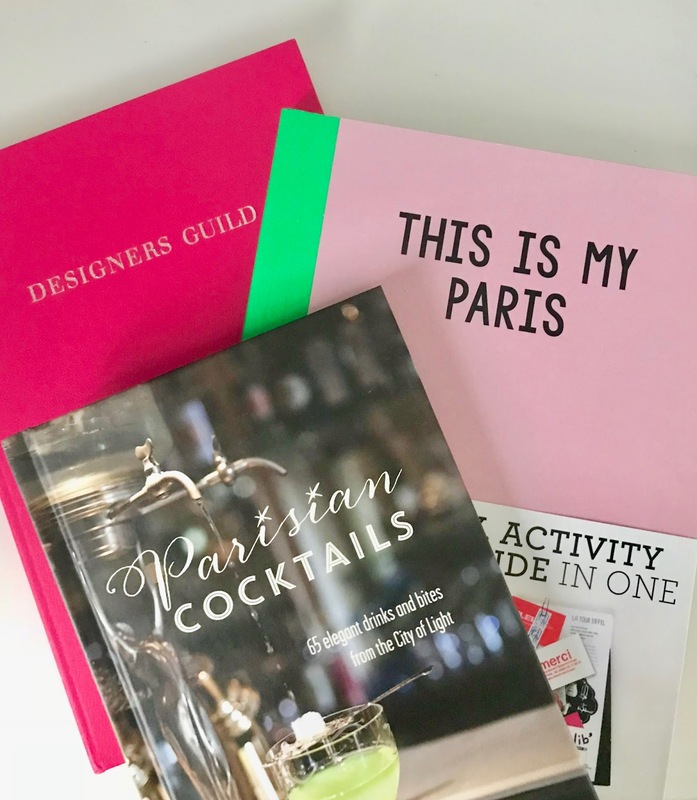 Starting briefly with the non-fashion things, I was really excited to get Jamie Oliver's new cookbook as I'm always looking for new, healthy meals to cook and a milk-frother for our coffees, after being super impressed with my friend Krissi's (she makes the best coffees! ); I must've talked about it a lot as now I have one of my very own! Also, the little Macro-Pro lens will really come in handy for my blogging (I intend to feature this in a post of it's own once I've had chance to master it!). 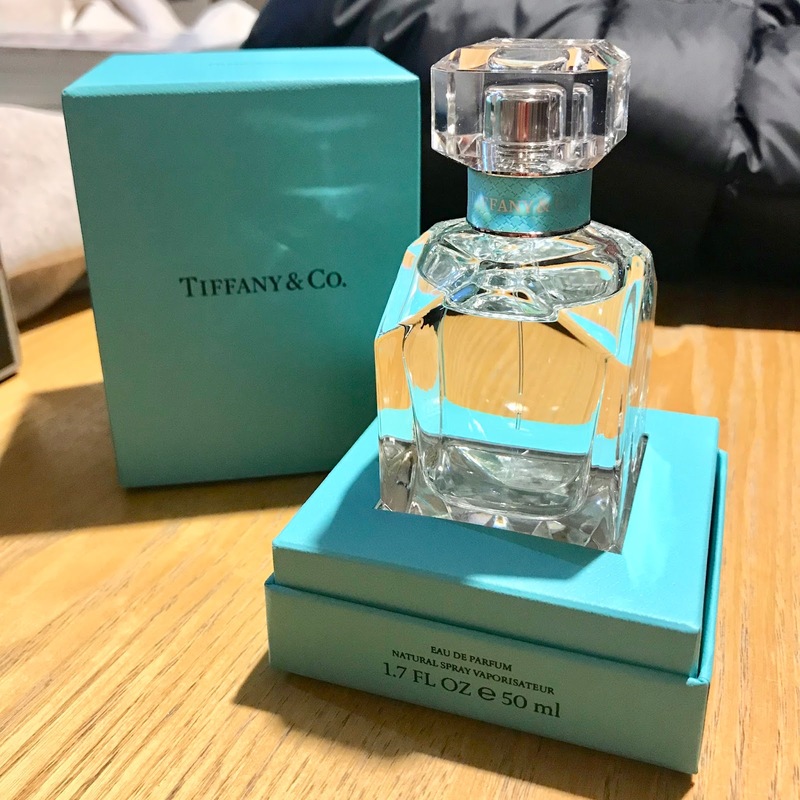 ...I've been happily spritzing away every day of the holidays! It's definitely my new favourite scent! 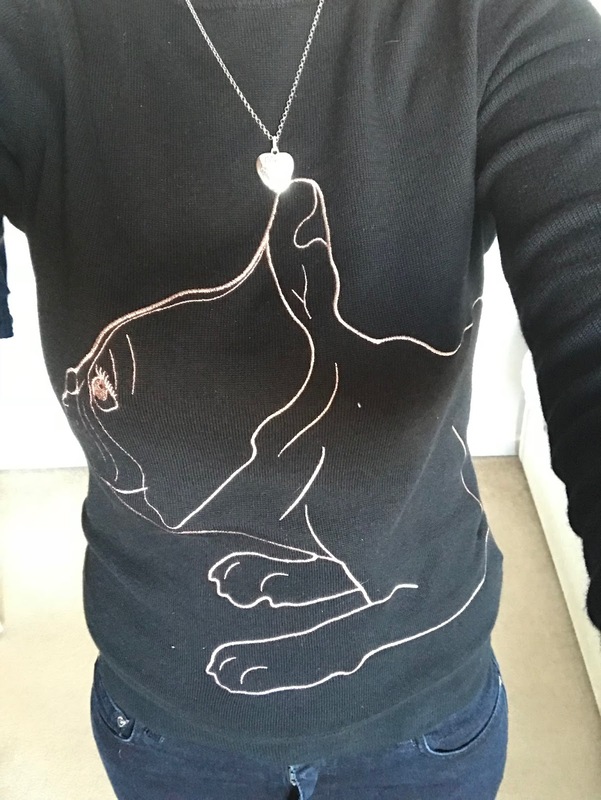 Next up, I want to talk about my amazing Ted Baker jumper featuring the cutest French Bulldog! 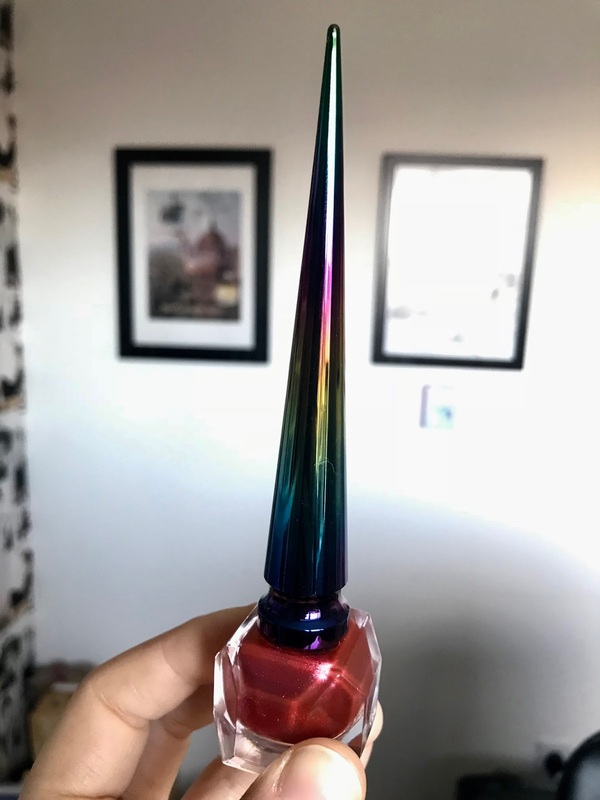 I'd never seen this before; it was a perfect pick-I absolutely love it! I've worn it with jeans but I think it'll look equally as cute with a long, flared skirt. I love the rose-gold detail, which carries on onto the back. My friend Nikita was also spotted this week wearing a dog jumper, a possible 2018 trend? I hope so! My dressing gown and joggers are both UGG, and are super-cosy and snug. I'm developing quite an UGG collection; the quality of their products is outstanding! 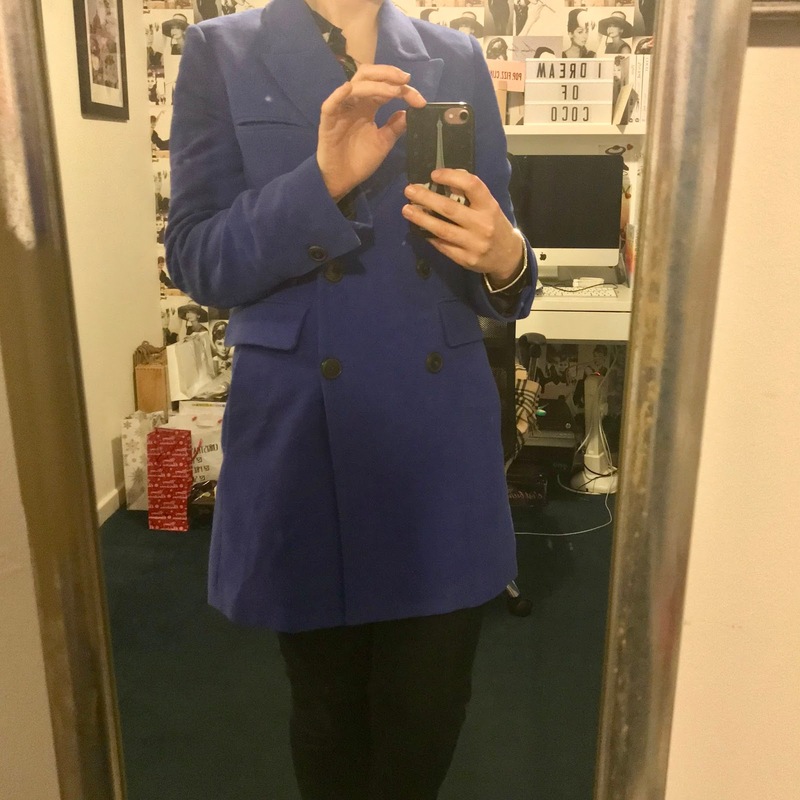 The massive snug coat you can also see in the top photo was my 'big' present (according to my Mister-I loved them all!). It's an Armani coat (similar here), filled with duck-feather down as I simply don't have a warm coat for everyday. It's like wearing a permanent hug and will be perfect for future winter trips to Edinburgh or London; perfection (don't worry; the trim is faux fur!). Last and by no means least was my beautiful blouse by Gestuz, a brand I wasn't really familiar with but one which sells the most beautiful things. Again, he picked so well as it's just what I would've chosen; the boy did good! My beautiful Mama Bear bought me a lovely fitted jacket from Mango as a joint Christmas and birthday present (she also got me some other little goodies too, including Blue: Our Story-I LOVE Blue!). 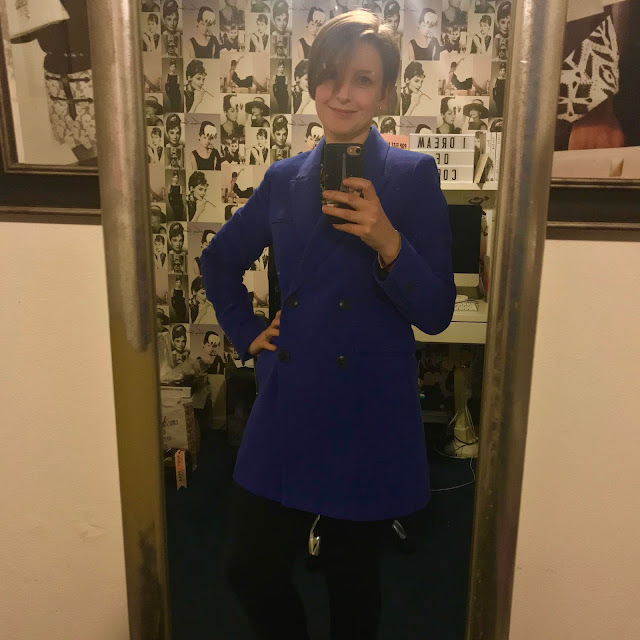 I've been wanting a dressy jacket for a while that was a bit warmer than the ones I own and I've already worn it loads-it's gorgeous! Thanks Mama! Another present I received was my lovely Designer's Guild notebook from Krissi. She also bought me a Paris travel doodle journal, a Wellness thermos (in the cutest shade of pink) and a Parisian cocktail-making book; all perfect for a blogger and a fashion-loving Francophile. 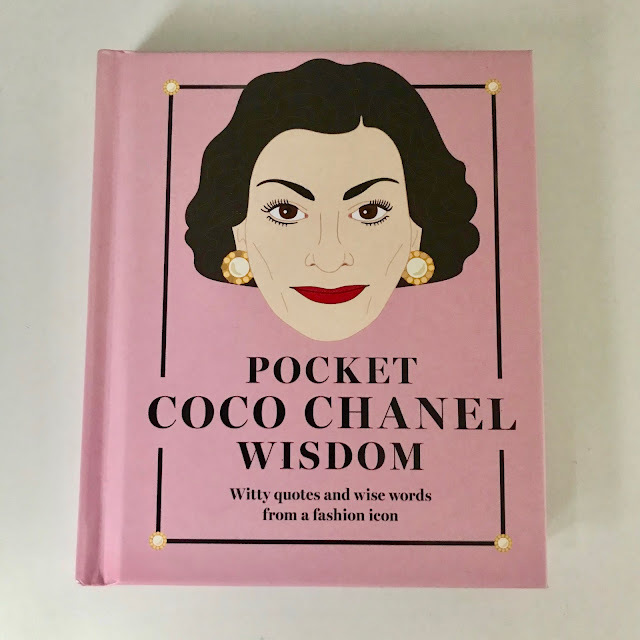 From my lovely Twitter friend Fiona, I got this cute little Coco Chanel quote book. Quite possibly the wisest woman that ever lived, certainly in fashion, I'll definitely be sharing some of the quotes across social media in the future-thanks Fi! My cousin Sally got my the most gorgeous Gucci-esque bag from Accessorise; it's absolutely beautiful! And she got me a bottle of Louboutin nail-varnish (similar here), which is like a unicorn horn and looks absolutely stunning standing on my windowsill with my perfumes! Such generous gifts; I can't wait to use them! 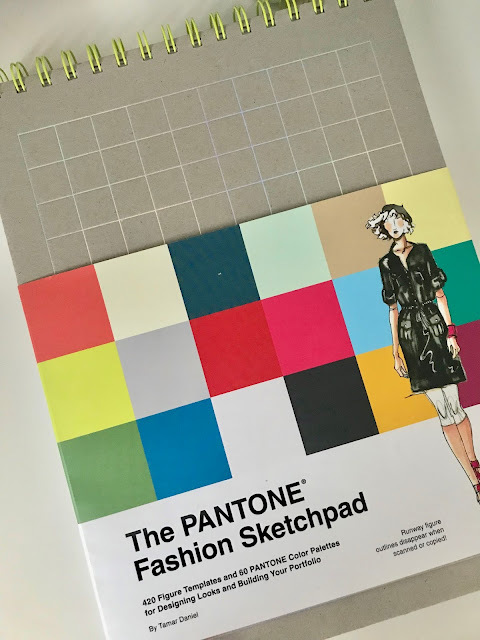 My friend Hannah reminded me that I need to pick up my fashion drawing again, with this beautiful Pantone fashion designer notebook and some new pencils. I can't wait to put pencil to paper, it's long overdue (thanks Hann!). 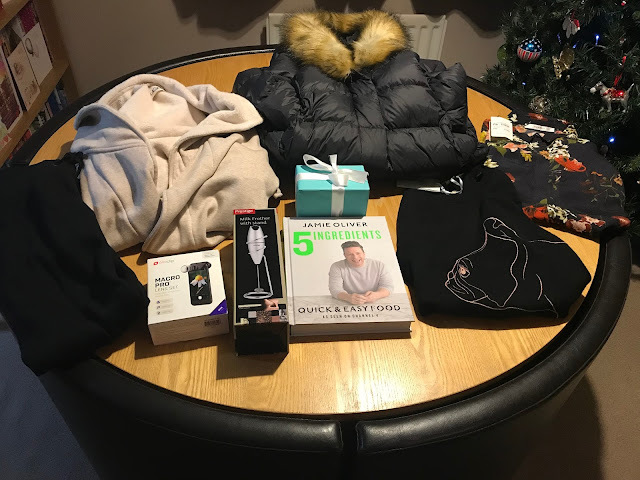 As you can see from the photo, I got loads of other amazing gifts too, I really was spoiled this year and I'm so, so grateful to every person that was kind enough to buy me something, send me a card or take time out of their day to wish me a Happy Birthday, it's always appreciated more than you know! 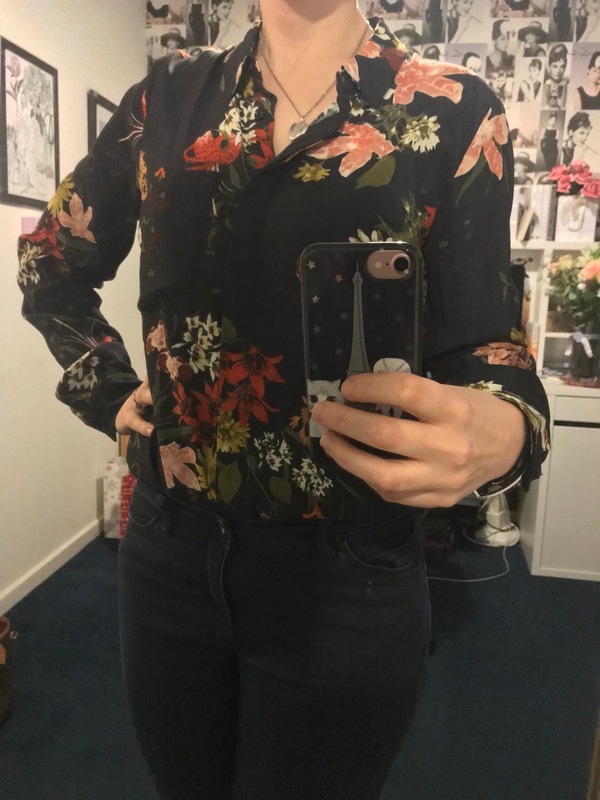 This post concentrates on the fashion-related purchases, but everything I received was amazing-thank you everyone from the bottom of my heart! 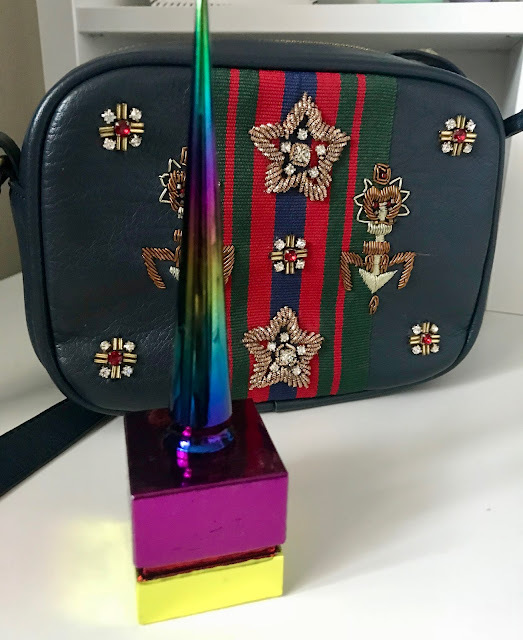 Stay tuned for my sale purchases!